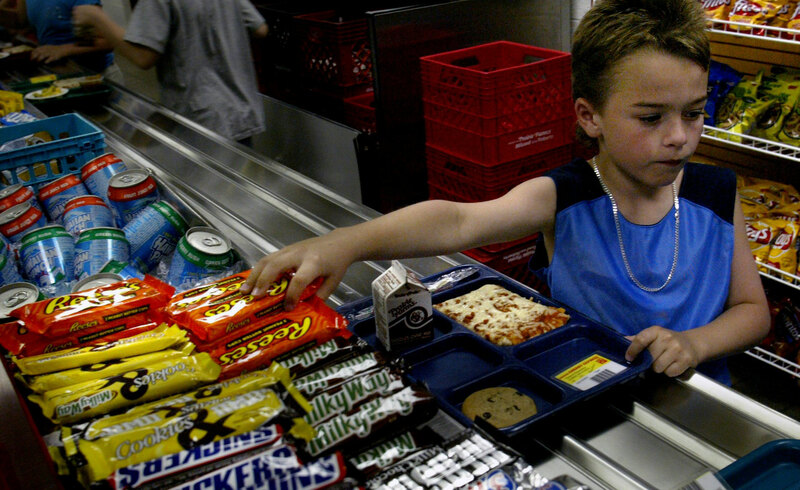 SCHOOL LUNCH- Chips and candy bars are standard fare in some schools today. Second grader Ricky Harris,9, reaches for a Reese's Peanut Butter Cup in the lunch line at Richard Simpson Elementary School. Parents can restrict children's access to certain snacks in school, yet most of the time they have no idea what their children eat during the day.